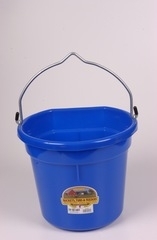 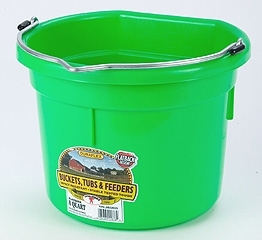 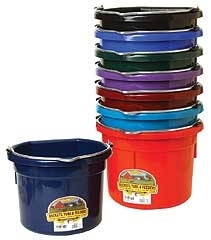 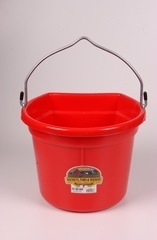 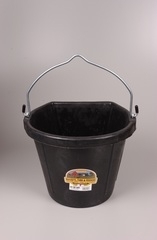 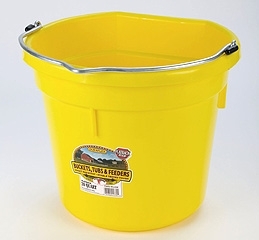 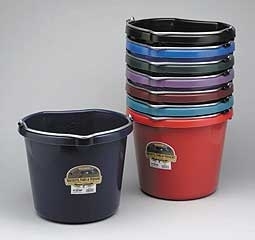 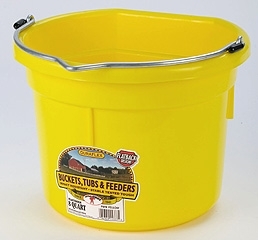 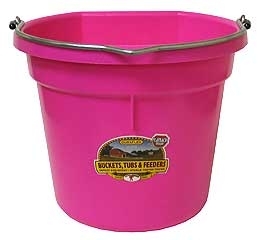 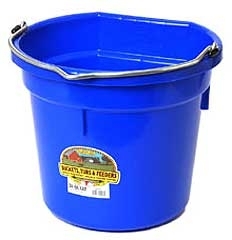 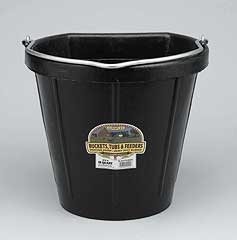 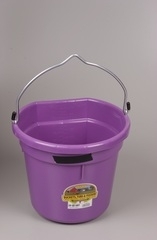 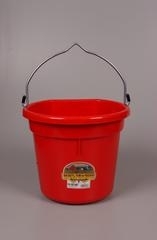 Heated rubber bucket 12qt keeps water from freezing during the winter. 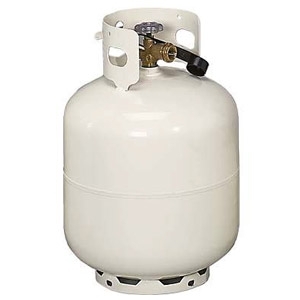 70 watt thermostatically controlled heater works automatically. 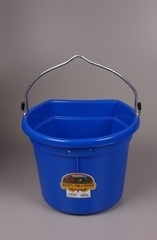 Strong, flexible, and durable design resists cold weather cracking. 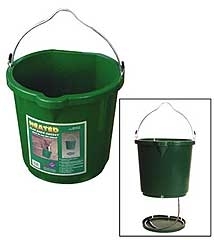 Concealed heating element - hidden from animals. 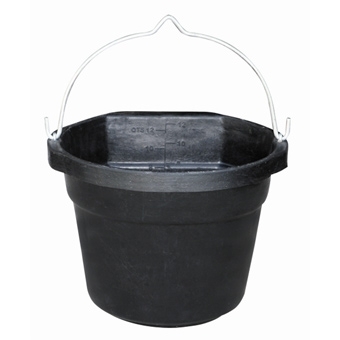 Made from natural and recycled rubber. 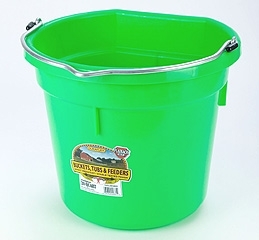 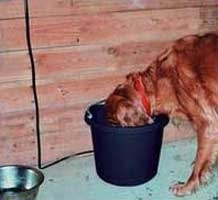 Table of measurement inside bucket. 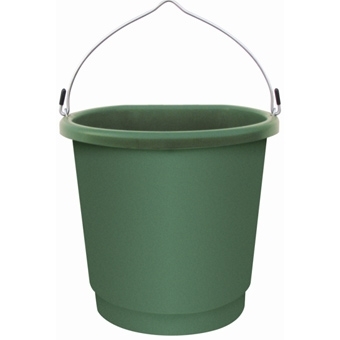 Flat-back design hangs easily. 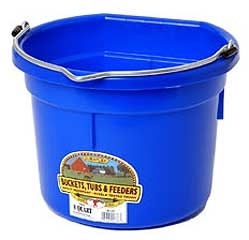 Metal cord protector to deter chewing.